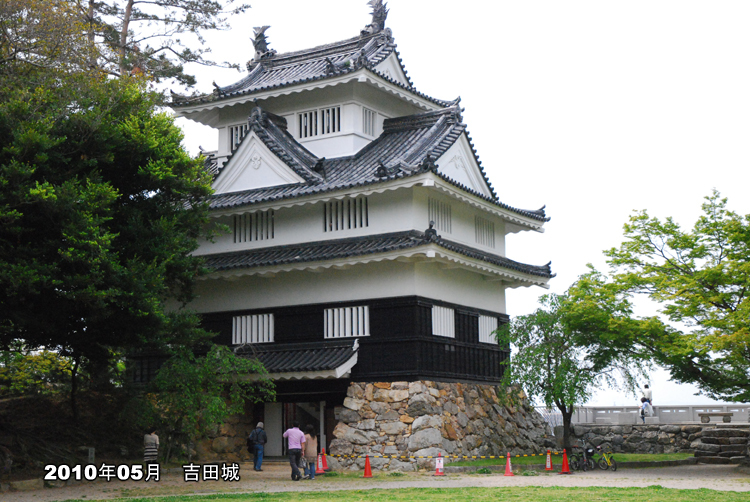 build a splendid castle worthy of his high income (152,000koku).But Ikeda was transferred to anpther castle about ten years later, leaving this castle uncompleted. 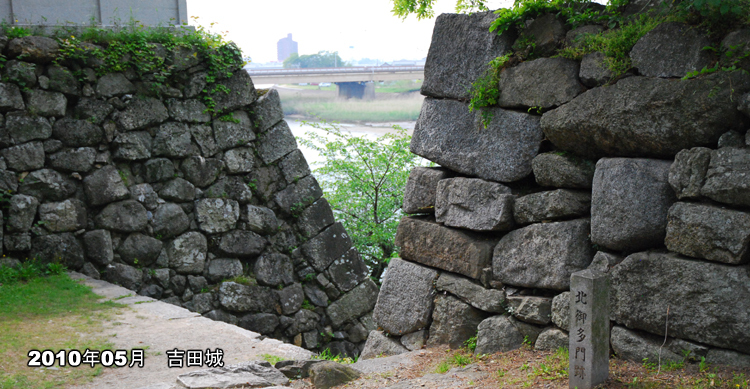 Afterwards, this area enjoyed along peaceful period and castle became unneccessary.That is why Yoshida Castle remains uncompleted. 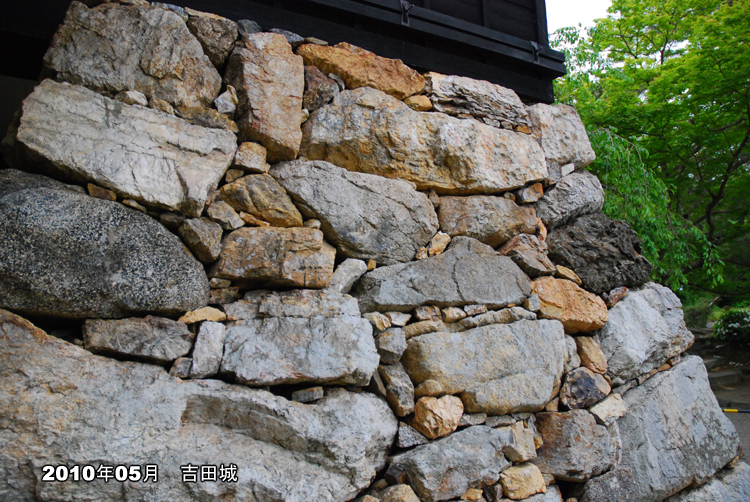 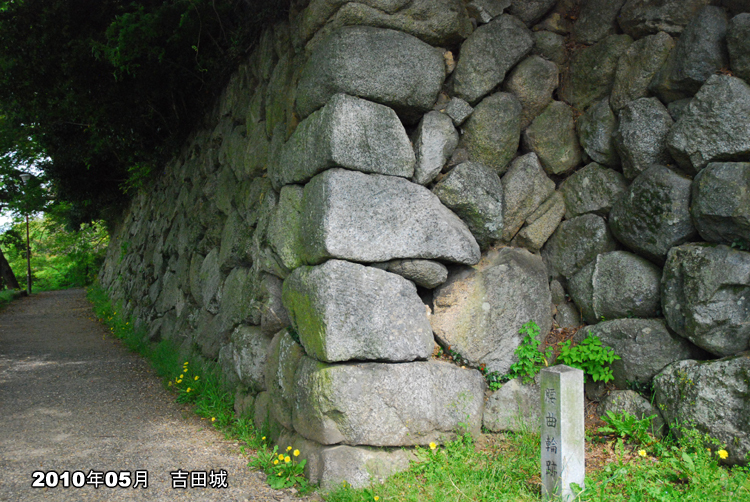 Nowadays, there are mossy stone walls and one remaining turrel (stonehouse) where the castle stood. 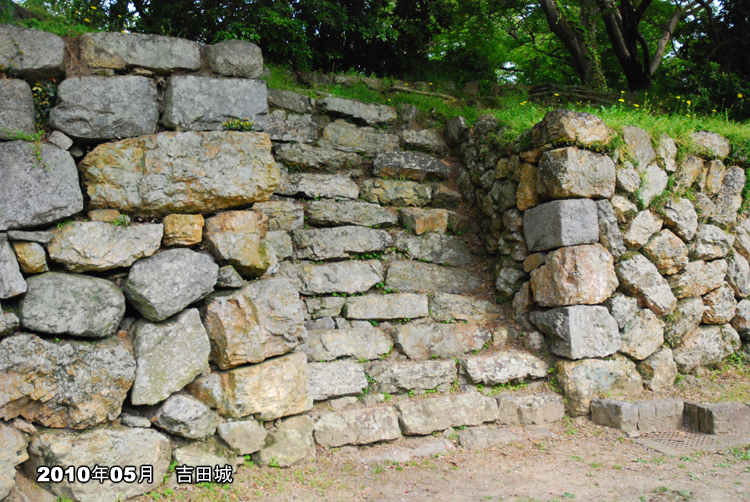 These ruins are a wonderful windou to the past.